By the early 1990s, it seemed like the world had given up on Johnny Cash. Well, at least his record labels had all given up on him. In an autobiography, he later claimed Mercury pressed only 500 copies of The Mystery of Life (Cash mistakenly called it The Meaning of Life), though it did scrape the bottom of the country charts. That’s a shame, because Cash was clearly interested in recording. His vocals sound clear and impassioned in a way that was totally lacking on most of his recordings from the late 1970s through just about all of the 1980s. If Water From the Wells of Home was supposed to be his comeback, then it says something that this album is a step up. It’s no winner. It’s still a rather middling affair. Producer “Cowboy” Jack Clement burdens this with heavy-handed production values that make all the instruments sound synthetic and artificial. But on top of Cash’s strong vocals, the band plays well enough (if you can look past the way they are recorded). 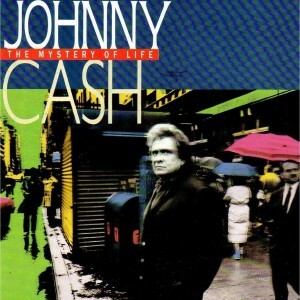 Although the standard narrative is that Cash’s career was on the skids for decades before Rick Rubin revived it with American Recordings, this album is worth a look for fans to see that Cash was still in good form as a singer, but was always held back by everything else dumped into his records and a lack of promotion. That is to say Rick Rubin didn’t change much when he came along, he just recorded Cash without the other clutter and otherwise let Cash himself do basically exactly what he was doing here — particularly for Unchained — and actually promoted him. This one’s an interesting curio for those who’ve already heard Cash’s more acclaimed efforts and want to go back and fill-in some of the gaps to round out the picture.